With an extensive array of amenities and a high level of hospitality, service and attention to detail, the 349-room 18-story destination resort is the perfect setting for guests to escape the everyday and just chill. Margaritaville Hollywood Beach Resort brings an entirely different resort perspective to South Florida with its unique, authentic, “no worries,” tropical vibe and the feeling of escape that is experienced immediately upon arrival. Influenced by the colors of the sea, sand and sky, the 349 guestrooms and suites at Margaritaville Hollywood Beach Resort are seaside perfection. 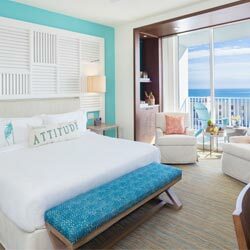 All accommodations offer a “no worries” tropical vibe with practical conveniences along with the special indulgences that make them uniquely Margaritaville. When you gather with family and friends tocelebrate life’s milestones and passages, you want a setting that will enhance the purpose of the event and make it more enjoyable and memorable. 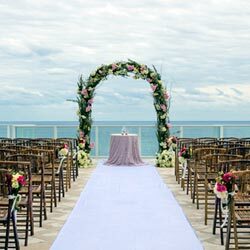 Overlooking the Atlantic Ocean, this incredible backdrop reflects an atmosphere of carefree elegance that will be enjoyed by all and remembered for years to come. Guided by the philosophy that each meeting event is a unique adventure, Margaritaville Hollywood Beach Resort’s dedicated team of event service professionals is focused on shaping effective meeting environments and entertaining event experiences. 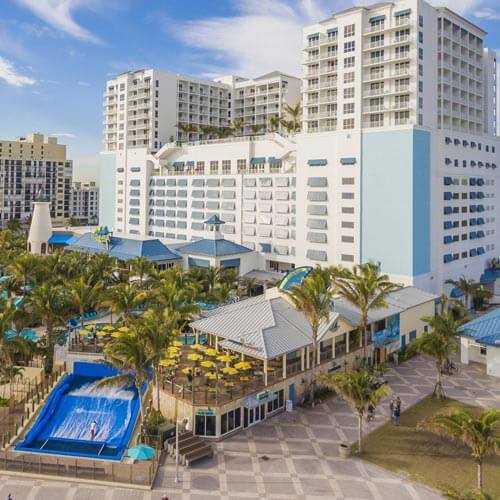 Inspired by the lyrics and lifestyle of singer, songwriter and author Jimmy Buffett, Margaritaville Hollywood Beach Resort is a destination resort and entertainment complex on the legendary Hollywood Beach Broadwalk. 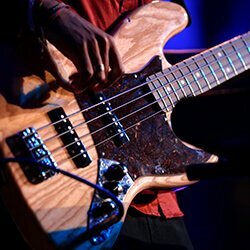 We are home to over 30 local bands, with the most robust schedule of weekly live music shows out of any other South Floridian resort or hotel. 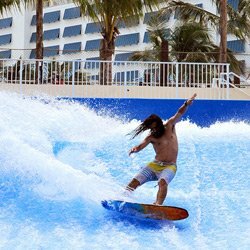 The resort has something for everyone: a family-friendly beach-side recreation area, rooftop pool and bar, spa and aFlowRider surfing simulator! Looking for even more? The Hollywood Beach area is the home of great shopping, golf, professional sports and Eco-Adventures! With this rate, parking for your travelin’ machine is included. Simply toss your car keys to our valet and relax at Margaritaville! A daily resort fee of $32 plus tax will be added to your room account. 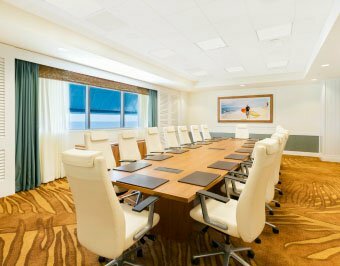 This entitles you to complimentary resort-wide wireless internet, fitness center access, two beach chairs, bottled water, in-room coffee, and local phone calls. The total shown for your online reservation includes the daily charge. COPYRIGHT © MARGARITAVILLE BEACH RESORT. ALL RIGHTS RESERVED.